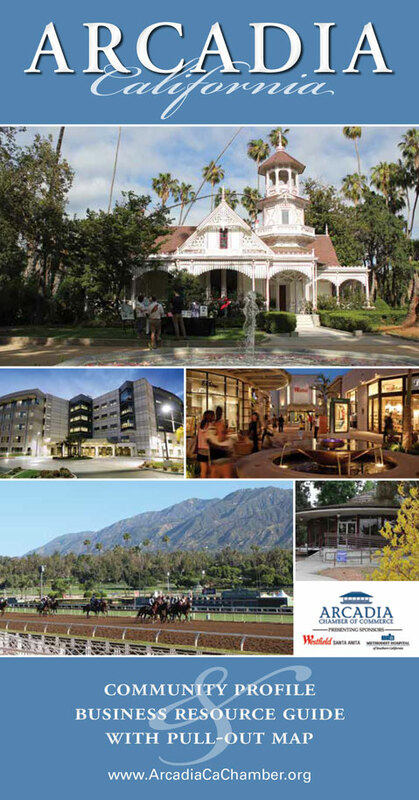 Job opportunities provided by our Chamber members and the City of Arcadia. Please click on each link for more information. Options for Learning is hiring! Please email cover letter and resume to Robin Sease at robin.sease@arboretum.org . Please no phone calls. 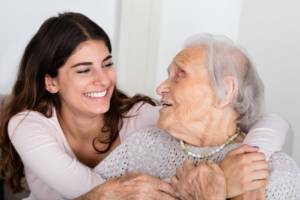 Apply NOW for a rewarding and gratifying job at Senior Helpers as a caregiver where you can make a difference in someone’s life! Job responsibilities include, but are not limited to: Personal care, transfers (heavy lifting), companionship, meal preparation, light housekeeping, medical reminders, and safety supervision. Call our local office at 626-446-8000 for more information. The Los Angeles Arboretum Foundation is the nonprofit partner of the Los Angeles County Arboretum and Botanic Garden, a 127-acre public garden and historic site in Arcadia, CA. Established in 1948, the Arboretum is an invaluable natural and horticultural resource with over 10,000 species of plants. Attracting over 400,000 annual visitors, the Arboretum is home to visual and performing arts, the region’s only fully public botanic library, and historic architecture that includes four landmark buildings. A leader in sustainable gardening education, the Arboretum offers education programs for visitors of all ages, including youth education programming serving 16,000 annually. If you are a qualified candidate looking to join a vibrant and growing organization, work in an inspiring and beautiful garden setting, and join a team of mission-focused colleagues, the Arboretum may be for you. Developing, managing and implementing corporate, government, business, and foundation strategies to meet or exceed budget goals and expand public support of the Arboretum Foundation to achieve the Arboretum’s mission. Management of the Foundation’s grant seeking program, including grant research, development of letters of inquiry and proposals, grant reporting, and managing the grant calendar to ensure steady growth over time. Developing new and stewarding existing corporate/business relationships for sponsorship support including community engagement to identify new funders/partners, provide engagement opportunities to renew sponsors, and ensure sponsor benefits are received. Develop and implement comprehensive, long- and short-term development plans to strengthen financial support and ensure the Arboretum is positioned to implement its mission and goals. Develop effective working relationships with foundation staff to develop specific proposals for their consideration and improve opportunity for funding. Develop and implement a planned approach to research and identify prospective corporate partnerships and stewards those relationships. Develop and track revenue/expense budgets for corporate and foundation giving and provide projections. Manage the annual grants calendar and be responsible for the on-time submission of applications and evaluation reports. Prepare compelling donor correspondence including letters of intent, proposals, sponsorship collateral, reports, letters and emails. Maintain accurate and up-to-date information in donor database. Bachelor’s Degree in marketing, public relations, journalism, communications or related discipline and a minimum of three years of experience with successful outcomes in corporate and foundation relations or in increasingly responsible development positions. To apply, please send a cover letter and resume to Sylvia.Rosenberger@Arboretum.org. Please include “CORPORATE & FOUNDATION RELATIONS MANAGER POSITION” in the subject line. Qualified candidates are encouraged to apply and applications will be reviewed upon receipt. No phone calls please. The Los Angeles Arboretum Foundation is an equal opportunity employer. To learn more about the Arboretum visit www.Arboretum.org. The Community Outreach Manager (COM) is responsible for providing leadership and support to various Community Outreach (CO) programs and partners. The COM will serve as a resource, utilizing knowledge of community health challenges and initiatives. The COM will also help establish and oversee protocols to facilitate community outreach events and activities, while coordinating the work of CO Resource Nurses (CORN) and going to various community events. S/He will supervise the Senior Services Program, Outpatient Diabetes and Nutrition Services, Outpatient Lactation Services, and the Maternal Child Health Education Program. The COM will remain highly visible in the community, and play an integral role in facilitating outreach initiatives through program development, networking, partnerships, and participation in community coalitions. To post a job on this page, please email us at info@ArcadiaCaChamber.org. You must be a current member of the Arcadia Chamber of Commerce to post.